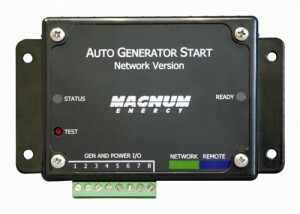 Click the button below to add the Magnum ME-AGS-N Automatic Generator Start Module to your wish list. 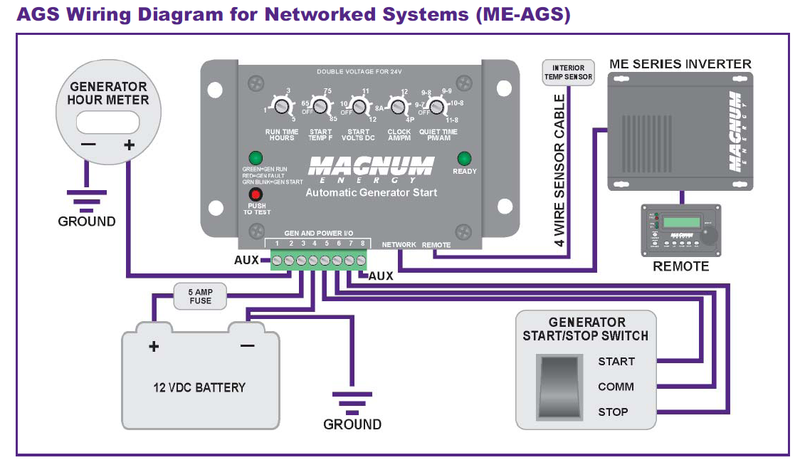 The ME-AGS-S Auto Generator Start Controller (AGS Controller - Standalone Version) - The ME-AGS-S is the 'standalone' version of Magnum Energy's Automatic Generator Start (AGS) controllers. This auto generator start controller can automatically start your generator based on battery voltage or high temperature. Adjustable settings include: run time, start volts DC, start temp, quiet time, and 24 hour clock. Works with ME Series, MM Series, MMS Series, MS Series, MS-PAE Series and RD Series. ME-AGS-S kit includes: AGS module, Remote on/off/test switch, switch bezel, a 25' 6-wire cable, and has basic adjustments starting on battery voltage or temperature. *The ME-AGS-S does not require an inverter / charger. Imagine being able to enjoy a day away all-the-while knowing your living space will stay cool and comfortable and your batteries will stay charged and ready for all of the activities that make up daily life. There's nothing better than returning to a nice, cool, comfortable home with charged batteries after a day away. The Magnum Auto Gen Start (AGS) can make this happen.The Magnum AGS is compatible with most major generators, including Onan, Powertech, Generac, Westerbeke, Kohler, EPS, Northern Lights, and most portable generators with electric start. Please check with your Magnum dealer for specific model compatibility.